Alter Street hosted a video premiere for Gnarhammered’s latest video offering “Wrong Way to Trip”. Heavy Coughin turned it up to eleven. Features: Andrew Metzger, Scott Kmiec, Tyler Yurazeck, Dante Tonella, Jeff Rasp, Alder Wilson, Henry Pham, Gavin Rosenberg, Mikey Leven, Nico Trevino, Jordan Beverly, Brandon Padayao and Phil Geib. Music by Heavy Coughin’. Alter Street x Gnarhammered x Heavy Coughin’ from Brian Emig on Vimeo. 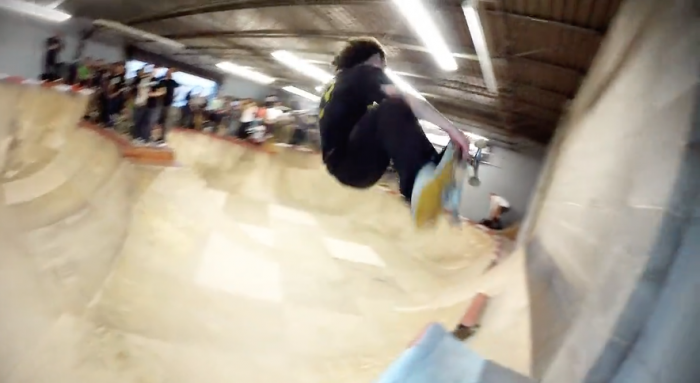 “THE WRONG WAY TO TRIP” DVD features Nico Trevizo, Ryan Miller, Andrew Metzger, Chris Gedney, Dante Tonella, Gavin Rosenberg, Chuck Pontone, Alex Buncy, Mike Jones, Zach Cusano, and many more. Runtime: 46 mins. Includes a small zine by Nico Trevizo featuring photos by Ryan Miller and Andrew Metzger and you can score it here for only $15.